Carmel is located just North of Indianapolis. It was selected as the Best Place to Live in the United States by CNN Money Magazine in 2012 and the third best place to live in the US by Money Magazine in 2014. 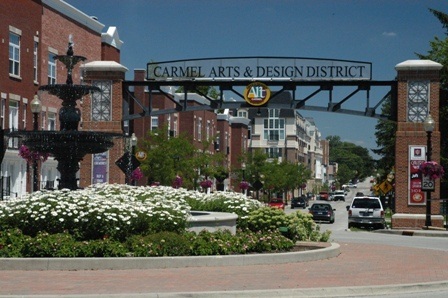 Carmel is one of the fastest growing communities in the country. It has a top rated public school system including many private schools. The Palladium, Carmel Farmers Market, Monon Community Center and Water Park, Carmel Arts and Design District, and more than 500 acres of park land are just some of Carmel's top attractions. Lincolnshire is a community located off of Towne Rd. on the West side on Carmel. It is a small community with just 82 home sites. Lincolnshire has its own walking trails, swimming pool, cabana, playground and picnic area. Located in East Carmel off of Main street between Hazel Dell Pkwy and River Rd. The Haverstick neighborhood features a community pool, tennis courts, basketball court, walking trails, doggie stations, picnic area, playground and several ponds. Prairie Trace Elementary is within walking distance to most of the homes and the community hosts several neighborhood parties throughout the year including an annual egg hunt, pumpkin patch, and pool opening party.